For years I’ve claimed Assassin’s Creed is better as virtual tourism than it is as a game proper. It was only a matter of time until they gave players a camera. I’m wrapping up my stint in Assassin’s Creed: Origins, finishing up a tour of Ptolemaic Egypt. Uplay tells me I’m at 83 percent completion overall—just some forts and a few side quests to mop up, but I’ve finished Bayek’s story, learned how the Assassins came into existence, uncovered the secrets of the Pyramids and the Great Sphinx. And Bayek’s right, the Sphinx is smaller than I thought. And yet my map is still full of icons. If anything, it’s more full than when I started the game. They’re not more Content (with a capital C) though, not dozens of treasure chests or Animus Shards or feathers or any of the other collectible MacGuffins that have plagued past entries. Hundreds of memories actually—both mine and other people’s. 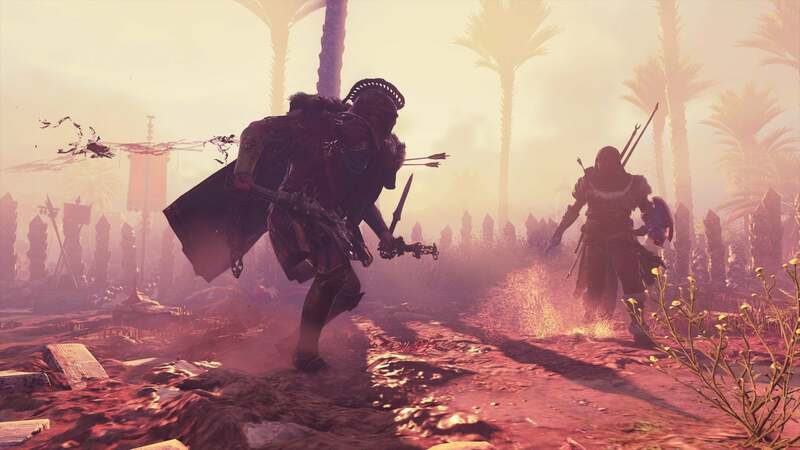 Origins added a ton of new features to Assassin’s Creed, from MMO-style gear grinding to an RPG leveling system to more complicated combat, but the most important addition is the new Photo Mode. A quick press of both analog sticks (I prefer playing these games with a controller) pauses time, removes the HUD, and lets you move the camera around to find the perfect angle. Point, shoot. So far, so normal. 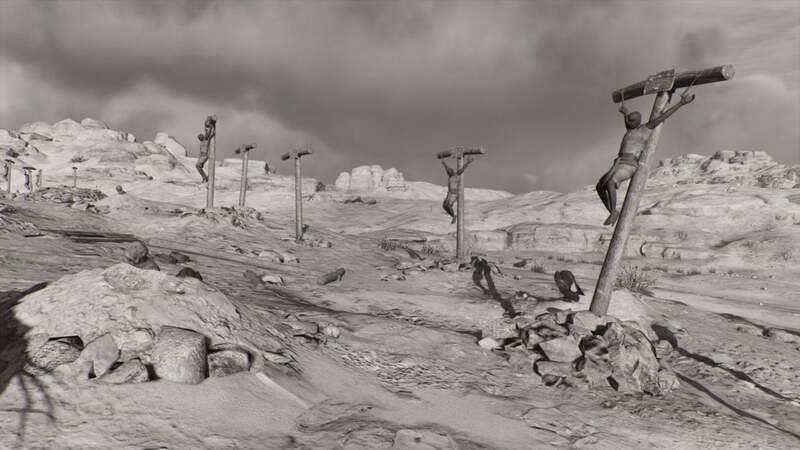 Photo modes aren’t new to games—in fact, my colleague Brad Chacos just wrote about Nvidia’s game-agnostic Ansel photo tool recently. A story, I might add, that featured some of my own Ansel shots from Hellblade: Senua’s Sacrifice. 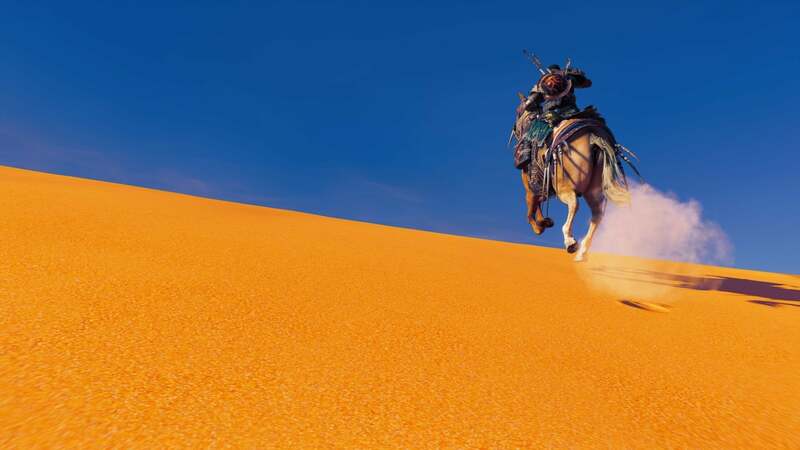 And Ansel is a better tool than the Photo Mode in Assassin’s Creed: Origins. The range of adjustments you can make is pretty sweeping—brightness, contrast, color saturation, vignetting, and more. You can pull off some incredible shots. Origins is simplistic by contrast—like Paint versus Photoshop. You’ve got camera control, a (bad) focus tool, and a dozen or so color-grade filters, most of which are ugly novelty colors a la Apple’s old Photobooth filters. Origins does something incredible with the resulting photo though—it treats it like it’s important. 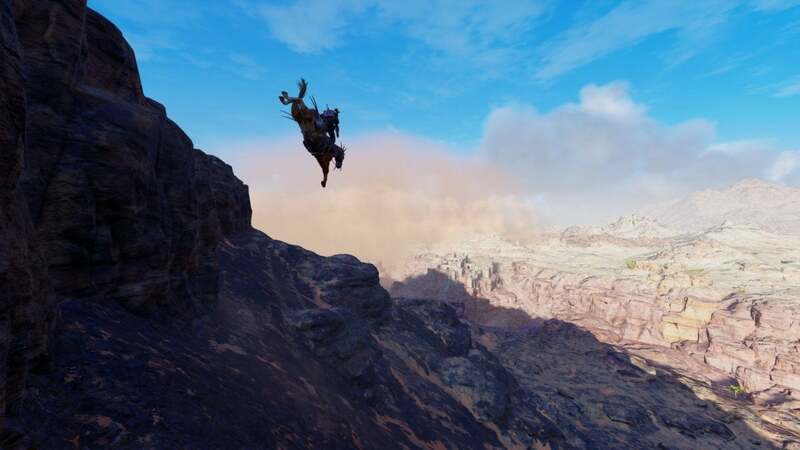 Whether you’re taking jaw-dropping photos of Bayek and his horse silhouetted against a sandstorm, taking snuff photos of a hippo fighting an alligator, or taking photos of cat butts, Origins takes that photo, “geotags” it, and pins it to the map wherever it was taken. Then it automatically shares them with others. I’ve always been envious of people who scrapbook their vacations. It’s not a hobby I’m personally interested in taking up, but it always makes those photos feel important, right? My (old) physical photos are in a box in a closet somewhere. Seven or eight phones’ worth of photos are scattered across multiple hard drives, “organized” in subfolders of subfolders where they’re just...out of the way. And that’s how I usually feel about screenshots. Nvidia’s Ansel, for all its power, is basically just a fancy screenshot tool—or a “bullshot” tool, to use some common industry parlance. It makes games look great, allows you to frame the action just so, to show them off at their best. But they’re virtual trash, mostly. I have thousands of screenshots on my PC, a hazard of the job. We typically use 8 to 10 for reviews and I might share a few of the funnier ones on Twitter, but the rest? They gather digital dust. Pull up the map in Assassin’s Creed: Origins though and you can see Bayek’s journey. Literally see, in the case of Origins—since its map is broken up into regions based on the player’s level, there’s a fairly linear path you’ll follow through most of the game whether consciously or not. Every photo you take ends up charting your progress across Egypt. Over here is the part where high-level bandits chased me until I rode my horse off a cliff, plunging to my death. Up near Giza you’ll find the photo I took of the Pyramids silhouetted against the setting sun—I loved that moment, very synthwave. 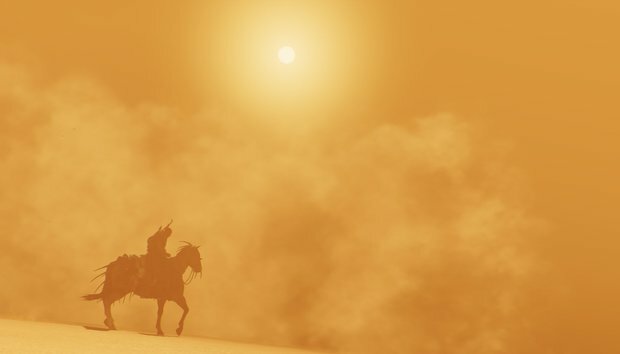 There, Bayek in a sandstorm. Bayek fighting a hippo. 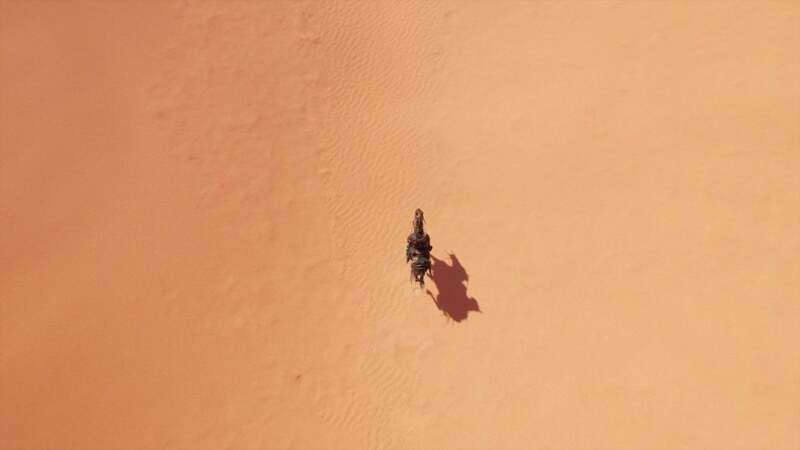 Bayek straddling the line between blue sky and yellow desert. Bayek in a thousand situations, a highlight reel to look back on. Context matters. How you present the end-product is as important as the product itself. Assassin’s Creed: Origins doesn’t take Ansel-quality photos, but it turns those simple photos into something more than just screenshots. They become, after 40 or 50 hours trawling through Egypt, a sort of living document of your travels. Other people’s travels, too. The community aspect is almost as important here as the act of placing photos on the map. At first I was ambivalent about seeing random people’s photos pop up on my map—it adds clutter to an already cluttered screen. But there’s a rising-tide-lifts-all-boats aspect, where the act of sharing lends weight to the photos you take. It’s the same reason Facebook and Instagram and so on are popular—people like sharing their experiences. An interesting side effect: I later realized I’d stopped just taking cool photos of Bayek because, well, everyone was taking cool photos of Bayek. The “Bayek doing [BLANK]” format felt played out. I noticed I’d started taking actual tourist photographs in response. 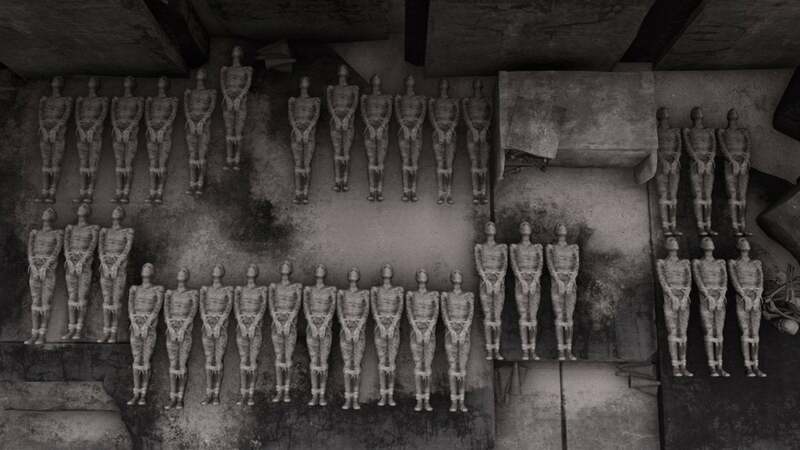 For instance, in one tomb I found an odd arrangement of sarcophagi, so I took a moment to snap a photo in my best “Art Student” black-and-white. The same with some crucifixes I found along the road near a Roman fort. Unique experiences I wanted to share with others playing the game. Stripped of context, dumped in an “Assassin’s Creed Origins” screenshots folder, these shots would be...nothing. They’re not review-worthy, nor something I’d necessarily share on Twitter. They’d become, as I said, digital trash. 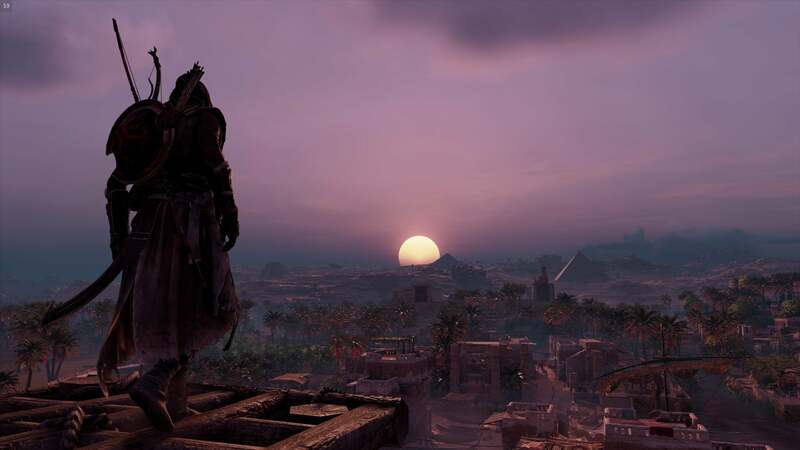 But in Origins they’re some of my favorite shots because they illustrate how its Photo Mode is different. The pursuit of these moments gives me reason to pay attention to the incredible amount of background materials within Assassin’s Creed—the set-dressing I might otherwise ignore on my way to the next objective. That set-dressing then becomes a memory, a scrapbooked reminder of the amazing places I’ve been. And then, later, they become markers for somebody on their own journey, a reason for that person to stop and take a look around in this tomb, climb this cliff, or take the scenic route. Assassin’s Creed is best when it’s digital tourism, and in Origins we’re all tourists. Hopefully we see more like this in 2018.